Remember when airplanes first began offering wi-fi service? It was magical. Once the plane took off, you could get right back to work and hammer through dozens of emails during the flight. Or take the time to read the gossip website you’d never admit to checking out at work. Or IM back and forth with your friends about where you’d go for dinner when your plane landed. Today, in-flight wi-fi can be a real pain—with everyone on one or more devices, many in-flight networks are overloaded. And if you fly to or from smaller cities, you probably know there are still lots of planes without wi-fi at all. How do you entertain yourself when you have to be disconnected? 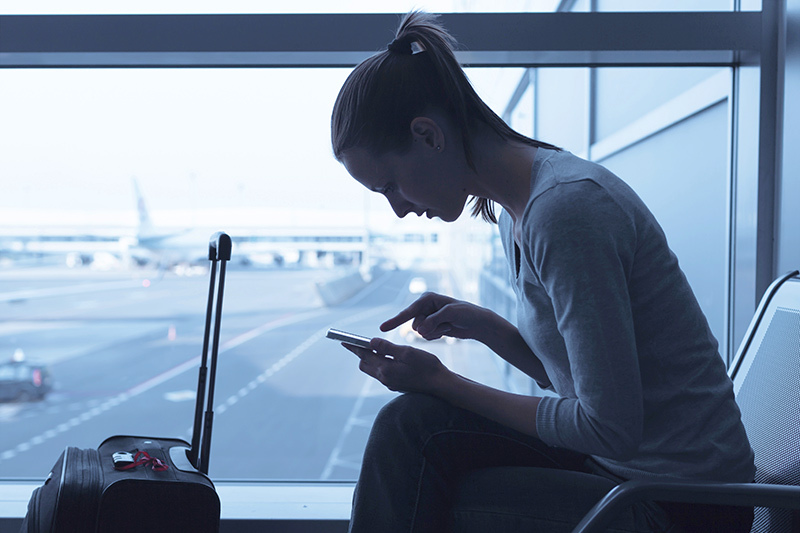 Try these suggestions for a smooth flight sans wi-fi. Whether you use an e-reader, a tablet, or your phone, download a couple of books before you go. You can use an online bookstore like Amazon or iBooks, or connect your device to a library that offers online lending. Once you’ve downloaded the books to your device, you’re ready for a nice long read. If you’ve gotten used to streaming podcasts and music, make sure you download a few new ones before your trip. You’ve probably noticed that a decent number of games and apps require you to be connected to wi-fi or a cellular network to provide full functionality. Make sure you have a few that work well when you’re in airplane mode. Where else do you get a couple hours just to lie back and take a nap? Consider taking a travel pillow, lightweight blanket or jacket on your flight, and catch up on your zzz’s. Most of all, don’t forget to charge before you go, and charge up an external power source or two while you’re at it. Then it’s smooth skies ahead for you and your devices!